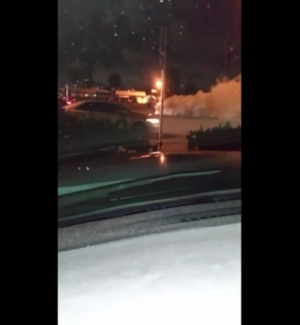 FORT LAUDERDALE, FL – A quick-thinking Good Samaritan put out a car fire in Fort Lauderdale by using a portable fire extinguisher from a nearby Walgreens. Witnesses say they saw a car burst into flames while it was traveling down the middle of the roadway. A bystander pulled up next to the car, ran from his truck to the Walgreens to grab a portable fire extinguisher, and the used it to put out the fire. Other Good Samaritans who were nearby worked to remove the driver from the car, while the man put out the fire.